When you work at Interweave, you learn about cool yarn things that otherwise might not cross your path. 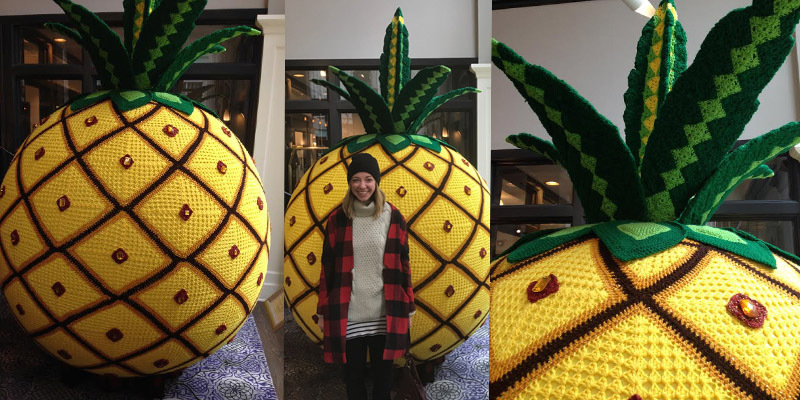 One day back in February, I got an email telling me about a Giant Crochet Pineapple on display in Chicago. When I realized the pineapple would be on display at The Alise Chicago through the month of March, I did a little happy dance. Coincidentally, my boyfriend and I had already been planning a trip to the Windy City, so we immediately added the giant crochet pineapple to our trip list. 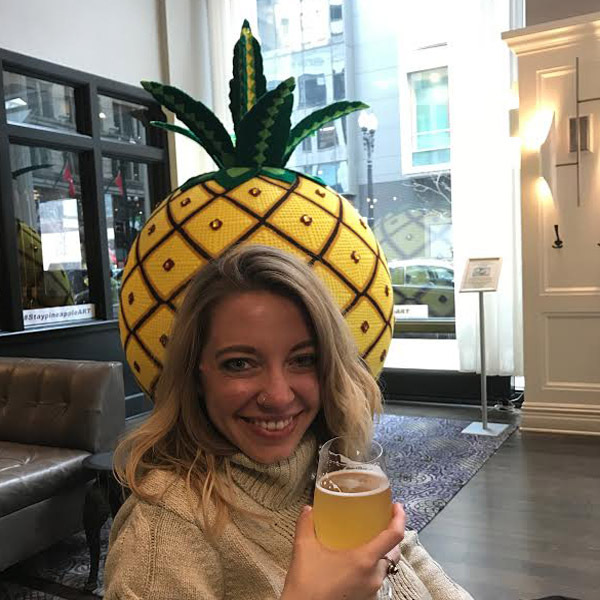 Gina Rose Gallina (also known as the Crochet Queen Bee) created her wonderful pineapple to mark 2 occasions: National Crochet Month and The Alise Chicago’s debut as a Staypineapple hotel in The Loop. To further celebrate, Gallina taught crochet classes through the beginning of March; I was quite sad to miss out on those! By the time we made it to Chicago, the giant pineapple was living happily in a big window on the ground floor where passersby could admire its size—and many did. The Alise Chicago hotel and its Atwood Restaurant are located in the Reliance Building, a National Historic Landmark that was considered Chicago’s first skyscraper when it was built in 1895. Both the pineapple and the building were amazing pieces of architecture, even if one was made of yarn! We sat inside the Atwood as close to the pineapple as possible, enjoying some locally brewed beers. I found it difficult to concentrate on anything but the crochet pineapple and turned to take pictures of it frequently. What a cool thing for a crocheter to see on vacation! The crochet pineapple left The Alise Chicago on April 1 to tour the country at other Staypineapple properties, so you may get the chance to see it. Look it up on Facebook to see where they’ll be next. 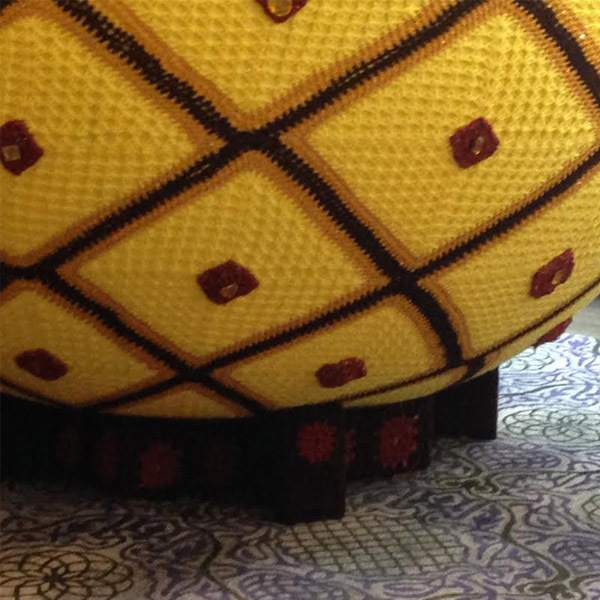 And if any of you figure out how they fit a 10-foot crochet pineapple into those beautiful hotels, let me know. I hope I can find a giant crocheted fruit of some kind on my next trip! 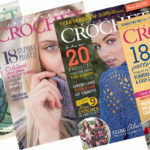 How about you, crocheters? What’s the coolest crochet thing you’ve spotted on your travels? Let me know in the comments. Did Someone Say Crochet Pineapple?